We'll be the first to admit that there are enough enticing skincare technologies, ingredients, and product compilations to excite, overwhelm, and last even the most avid skincare junkie a lifetime. And since virtually every buzzword and ingredient makes lofty promises (many of which claim miracle—aka realistically impossible—results), it's important to have information on what you're putting on your skin just like you might research a new supplement or wellness trend you're trying. Because despite the fact that we constantly have the urge to slap anything on our face that promises game-changing results, it's just as likely said ingredient or product won't live up to the hype. However, not all buzzy ingredients and products are fallacies. In fact, far from it! The importance lies in the research and what objective skin and health professionals can actually verify in terms of efficacy. Which brings us to the topic in question: polypeptides in skincare. Widely thought to help preserve and boost collagen (and in turn lessen the appearance of lines and wrinkles), this trending ingredient has found its way onto store shelves in the forms of face washes, serums, creams, masks, and more. But do polypeptides actually do anything? Or are brands simply riding the very popular and very trendy collagen wave? To get to the bottom of it (because we want you all to be as informed as possible and spend money on products you'll truly fall in love with), we consulted three industry-leading dermatologists based in Beverly Hills. And to be honest, we were slightly shocked by what they had to say. Ahead, we're decoding polypeptides in skincare and dishing the seven peptide-infused products that are actually worth the hype. According to Jennifer Herrmann, MD, FAAD, at Moy Fincher Chips Facial Plastic Surgery and Dermatology in Beverly Hills, polypeptides can best be understood as "small chemical compounds composed of short-chain amino acids, which are the building blocks of protein." Having sudden flashbacks of junior high science class? We are too, which brings us to our next burning question: Why have they been having such a buzzworthy moment in the skincare spotlight, and why exactly are polypeptides so frequently found in our favorite serums and creams? "Peptides are essentially fragmented portions of proteins. So when they're used in skincare, the objective is for those fragments of collagen to stimulate collagen growth," explains Nancy Samolitis, MD, FAAD, co-founder of Facile Dermatology + Boutique. "Complete, non-fragmented proteins (like collagen) are not able to be directly absorbed through the top layer of skin, so these smaller pieces are able to get deep into the cellular level." However, it gets a tad more complicated. "When used in cosmetic skin products, peptides fall into three main categories: signal peptides, carrier peptides, and those that inhibit nerve signals," Herrmann elaborates. "By acting as messengers, signal peptides can trigger collagen synthesis, which then increases skin firmness." So here's the basic idea: When collagen breaks down, the polypeptides act as an alert system, informing our bodies to make more collagen to help replace what we lose naturally as we get older. Therefore, using products with peptides directly on top of our skin acts as a fake-out, tricking our skin into thinking it's lost collagen and needs to make more. Kind of ingenious, right? Then, the carrier peptides, as Herrmann explains, work to help stabilize and deliver copper to certain enzymes, which are critical for functions like collagen and elastin synthesis, the growth of new blood vessels, and wound healing. "Finally, peptides that inhibit nerve signals have the potential to soften fine lines caused by muscle movement—in theory, it's like topical Botox," Herrmann concludes. The bottom line: Applying polypeptides directly to your skin is a way of letting your skin know it has depleted collagen stores and needs to make more. Or that's the idea, at least. While other hero ingredients like retinol (which is usually used to help preserve vitality and youthfulness in the skin) can lead to redness, peeling, and irritation, incorporating polypeptides in your skincare routine may share some of the same preservation-inclined benefits, sans the side effects. "Stimulating collagen production in the skin's dermal layer can lead to healthier skin with smoother texture, fewer wrinkles, and decreased pore size," Samolitis tells us. "Loss of collagen, which is like an internal skin scaffold, leads to sagging, aged skin. For peptides that inhibit nerve signals, the idea is that they can break the communication between nerves and muscles," Herrmann adds. Therefore, if these muscles aren't contracting, they'll be less worn down and in turn are slower to form and result in wrinkles like crow's-feet and forehead lines. So there lies the basic thinking and theory behind the benefits of polypeptides. But are these too-good-to-be-true sounding claims legitimate? "Peptides are usually too large to penetrate the skin, so they never get to where they need to be in order to do their job," Jenna Queller, MD, FAAD, at Moy Fincher Chips Facial Plastic Surgery and Dermatology in Beverly Hills tells us. "Our skin is an organ, and it's specifically designed to keep things out like bacteria and other toxic molecules, so the skin's natural defense mechanisms are to deny peptides from entry." Samolitis, too, has some disheartening news: "There just has not been significant scientific data on peptides for anti-aging, and they may not be as effective as the tried-and-true retinoids, AHAs, and antioxidants. Plus, the word peptide can be used generically to describe any short chain of amino acids, so that term can easily be used for marketing even if the product does not contain a known active ingredient. Instead of buying into the craze, I recommend consulting a dermatologist to learn what skincare products will be the most beneficial for your specific skin concern." Then, after zeroing in on your regimen, Herrmann says you can take it a step further with things like lasers or other skin-tightening treatments to maximize restoration and skin health. In other words, things like this (versus peptides) will act as a cherry on top. As with any kind of skincare product, not everything is created equally, and it's important be informed and aware of the different types of peptides (if you're still intrigued to try them) so that they'll prove most useful for your end game: vibrant, radiant, and healthy skin. One key takeaway I learned from my expert derms is that if you're bound and determined to try peptides in your skincare, don't waste your money on a peptide-filled product like face wash, which you'll rinse off almost instantaneously. "Polypeptides will be much more beneficial in a cream or serum form that is left on the face and applied twice daily as opposed to a cleanser that would be washed off," confirms Queller. That being said, she also tells us that it's impossible to know the exact efficacy of certain skincare products without detailed scientific data to back up its claims. "The most popular peptide for cosmetic use is called palmitoyl pentapeptide, or Matrixyl," continues Queller. "It can be found in many skin products (both budget-friendly and not) and can be effective in improving the appearance of fine lines." However, in order for peptides in your skincare products to actually work the magic that they claim, there are a few things that come into play. 1) The polypeptides have to be stabilized in a topical cream so they don't continue to break down (becoming more fragmented) until they're completely useless. 2) They have to reside in a formula that allows them to easily penetrate the skin barrier. In other words, if peptides are trapped in a heavy cream that only sits on the surface of your skin, you'll never reap the benefits. And 3) a product must contain a large enough volume of peptides to make a legitimate clinical difference. 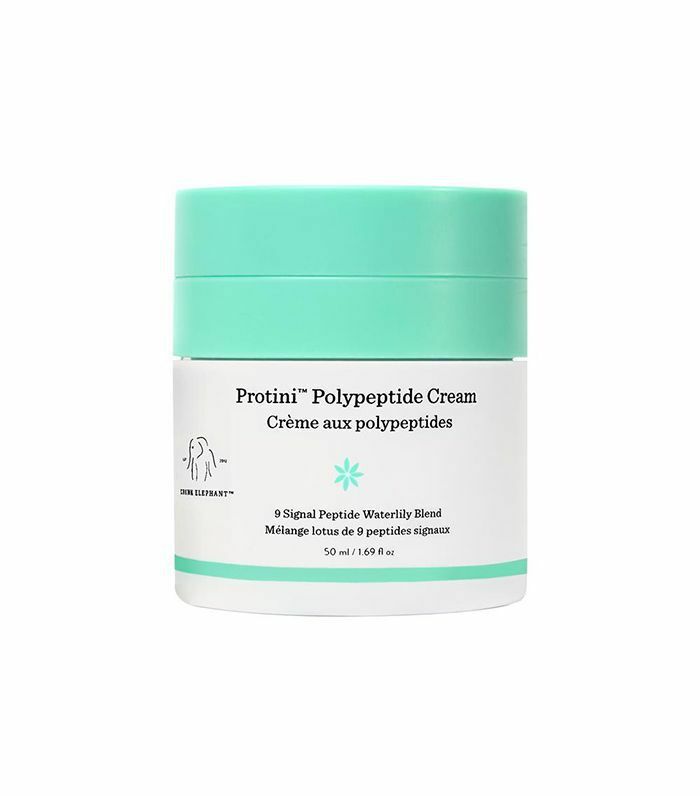 Keep scrolling for the specific polypeptide-rich skincare products recommended by our dermatologists. Plus, a few Byrdie-editor favorites we swear—on our lives—actually work. 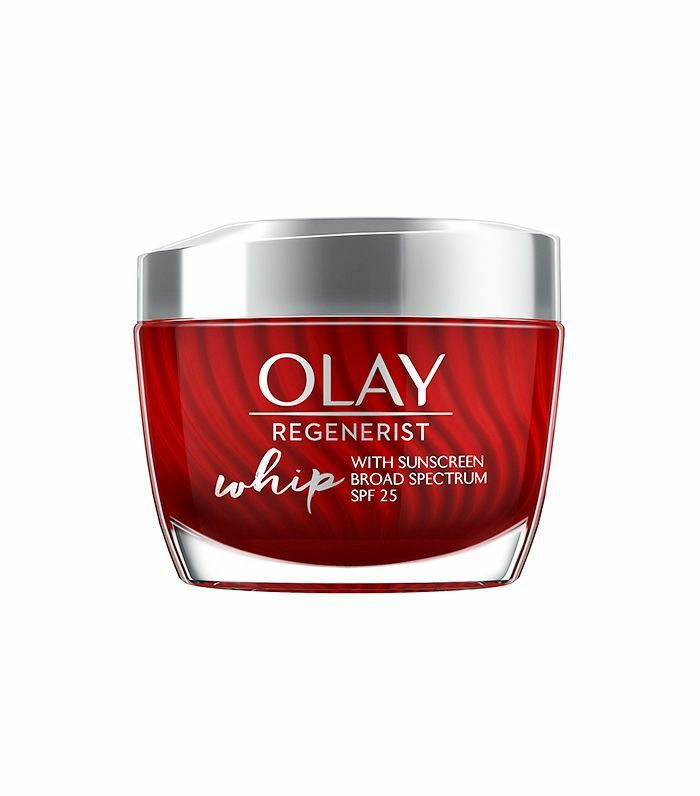 Because polypeptides in skincare only boast subtle improvements, Herrmann recommends saving your money and opting for less expensive products and recommends something like this cream from Olay, which she commends as very lightweight in texture and also infused with hyaluronic acid for an extra kick of hydration. Queller is also a fan of the line for a budget-friendly option. 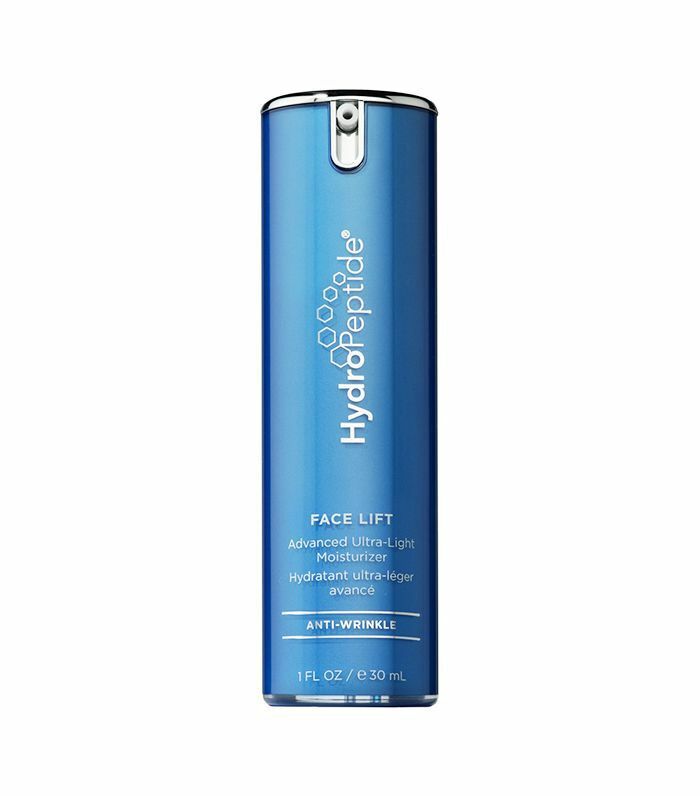 However, if you're interested in a splurge, Herrmann recommends this game-changing pick from HydroPeptide, which has a similar light and airy feel but also contains a whole host of antioxidants that can help preserve and protect your current collagen and elastin stores. 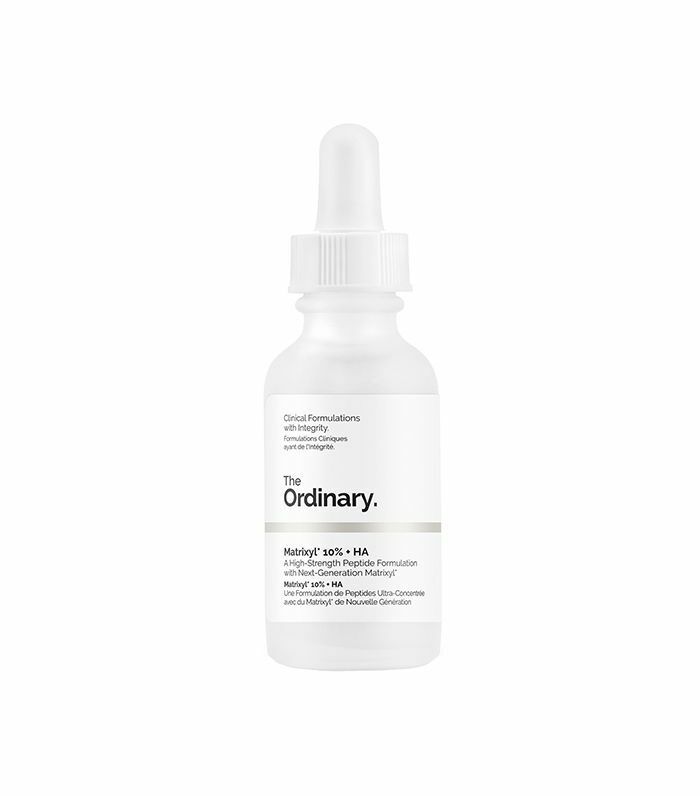 According to Samolitis, the most popular and effective polypeptide combination in skincare is known as Matrixyl 3000, and this serum from The Ordinary sets the gold standard in formulation. She tells us it's one of her favorites. Plus, it's so affordable. Brand new and garnering fast and furious admiration from editors and reviewers alike, this peptide-infused moisturizer from Drunk Elephant is great for all skin types and masterfully melds signal peptides, growth factors, amino acids, and pygmy water lily extract to deliver noticeable results that the brand claims you'll actually be able to see. A recommendation from Byrdie's wellness editor, Victoria Hoff (who has very glowy skin, by the way), this peptide-heavy serum may be an investment, but it's a worthy one thanks to its high-quality formulation, which is expertly curated for those with depleted collagen stores. The secret? It uses plant-based stem cells to kick-start the skin's natural regeneration cycle. Plus, it also contains rh-oligopeptide-1, which is a powerful growth factor for enhanced collagen stimulation. Yes, we realize the sticker shock for this trio is rather stunning, but considering the brand's potency (it's a line Queller recommended to us if you're dead set on riding the polypeptide wave), it just might be worth it. 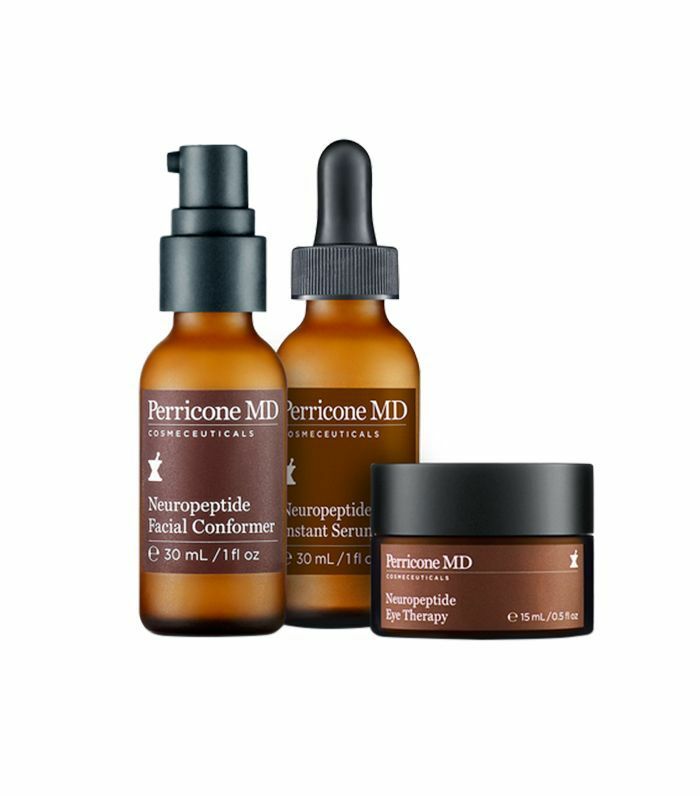 Each product (a treatment, serum, and eye therapy) is formulated with Dr. Perricone's proprietary neuropeptides and promises advanced benefits like improved elasticity and brightness, and a decrease in lines and wrinkles. 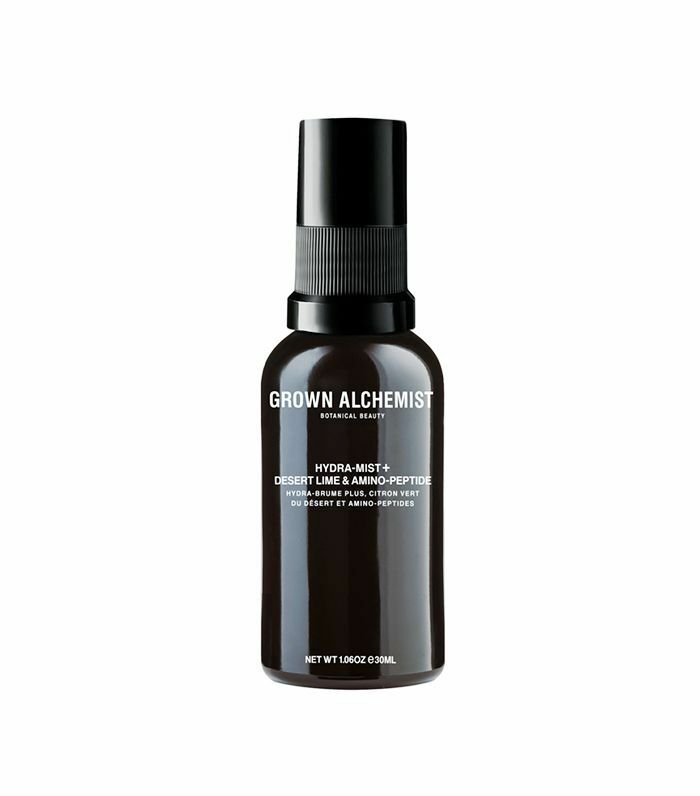 Another recommendation from Victoria with a very loyal fan base in both the United States and Australia (the brand's birthplace), this luxe mist from Grown Alchemist is enriched with heavy-hitting peptides, hyaluronic acid, and antioxidants and helps to calm the skin while simultaneously plumping it for an ultra-youthful glow. In other words, it's the perfect mid-afternoon pick-me-up. I have sung this product's praises before (actually multiple times), and I'm wholeheartedly sure I'll continue to do so for the rest of my life. Essentially, it's the only thing I'll put on my face pre-foundation and is equally wonderful on days when I go makeup-free. (The healthy luminosity it delivers is truly on another level.) And while the quenching formula boasts an entire host of skin-loving ingredients (think vitamins, omegas, and minerals), it also features a triple threat of peptides, hyaluronic acid, and antioxidants—a winning trio when it comes to protecting your collagen quota. All in all, there definitely still needs to be more research regarding the efficacy of polypeptides in skincare. 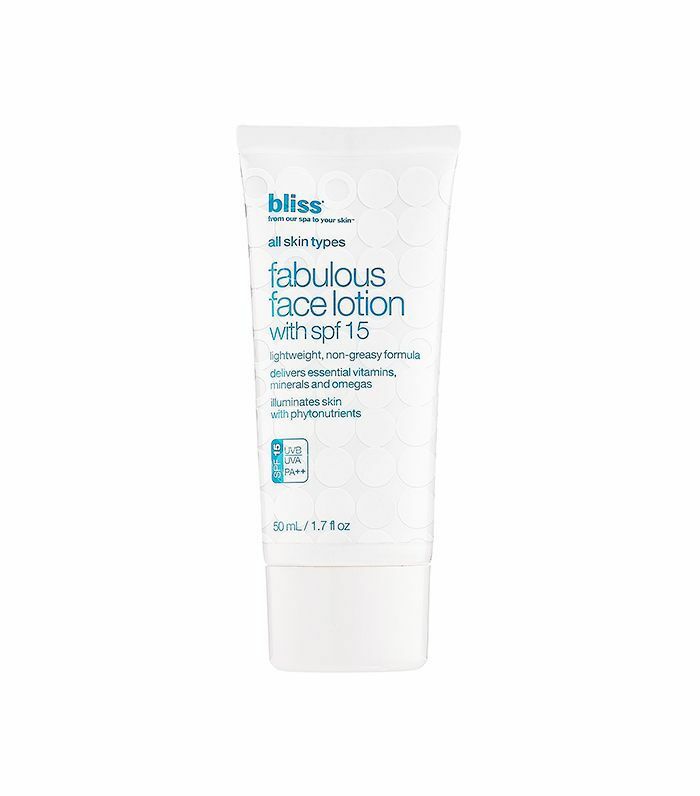 However, if you shop and apply strategically, your skin's future may just be brighter. 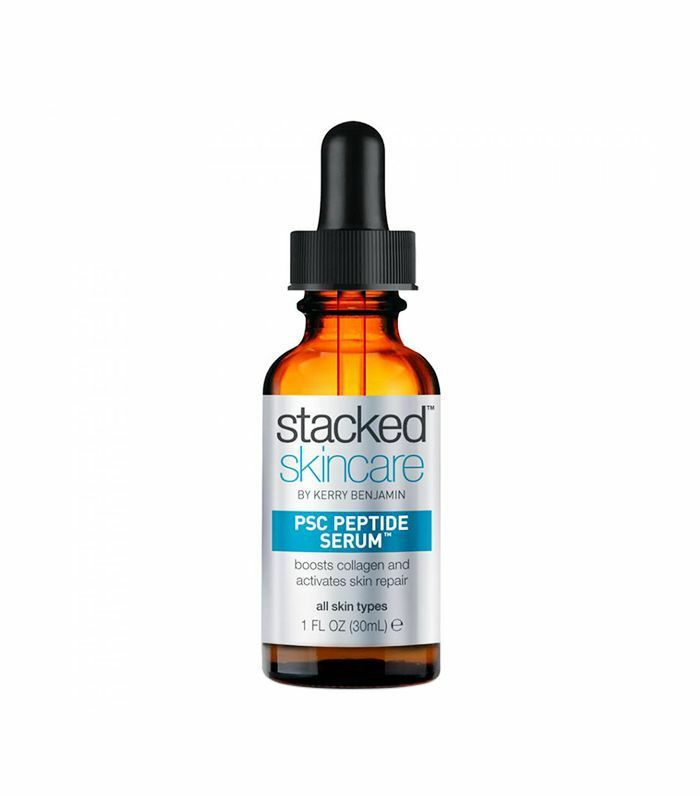 Have you tried peptides in your skincare regimen? We'd love to hear your thoughts and experiences!